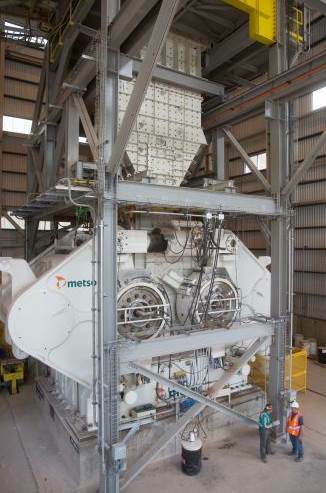 Metso and Freeport-McMoRan celebrated an impressive milestone in Q2, 2017 as the new HRCTM3000, the world's largest operating high-pressure grinding roll, at the Metcalf Concentrator crushed its 100,000,000th short ton of ore. Reaching one hundred million short tons of crushed ore is a significant milestone for the world's largest operating high-pressure grinding roll. 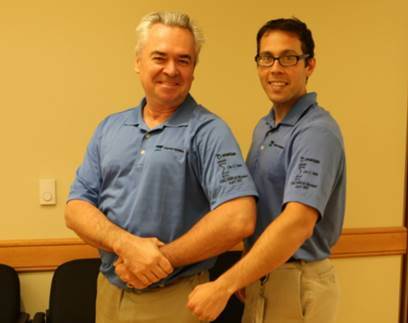 Due to its capacity, the HRCTM3000 reached this milestone in less than three years. The HRCTM3000 began operating in May 2014 at the Metcalf Concentrator at Freeport-McMoRan's copper mine in Morenci, Arizona, USA. Morenci is an open-pit copper mining complex that has been in continuous operation since 1939. The HRCTM3000 is the largest unit of its kind in the world, allowing for fewer lines of equipment which reduces the amount of ancillary equipment. The HRCTM3000 is the first full scale HPGR to incorporate revolutionary design features such as the flanged tire design and the patented Arch-frame. 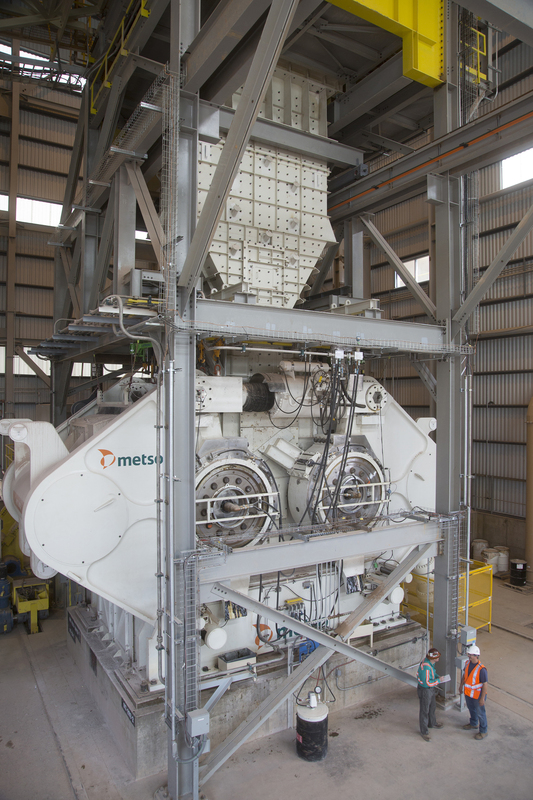 Metso's solution has provided the Morenci mine with several benefits, including an estimated 13.5% increase in energy efficiency over traditional HPGRs based on pilot scale testing. Metso's HRCTM3000 high-pressure grinding roll is the largest unit of its kind. 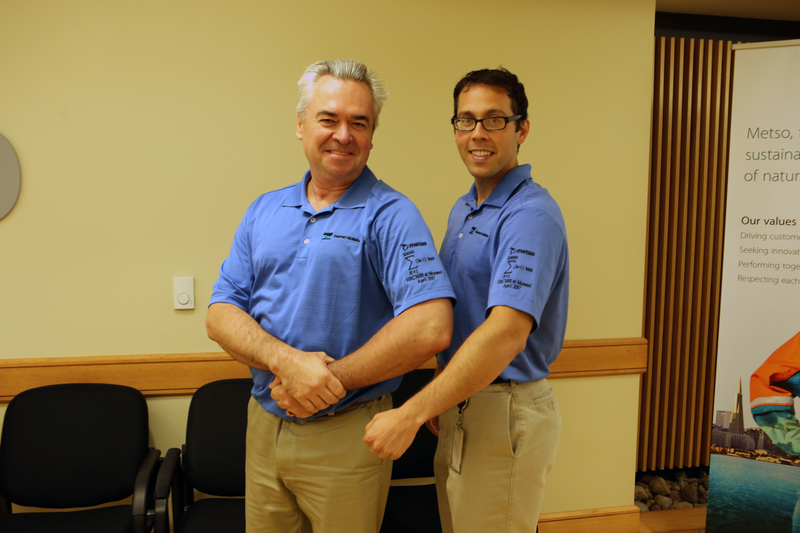 Metso team members sport shirts to commemorate the HRCTM3000 crushing its 100,000,000th short ton of ore with an equation to symbolize the important milestone.